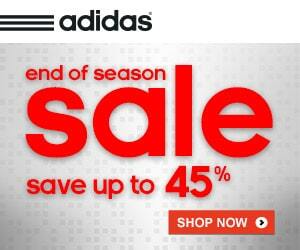 I just received word that Adidas is currently having an “End of Season” sale with over 1,700 items up to 45% off retail. This include shoes, shirts, hats, watches, unmentionables, etc. They are also offering Free Shipping on all orders until July 1st. I managed to snag myself some snazzy looking boat shoes and a few tanks to wear at the gym, since I sweat profusely and can’t wear anything with sleeves! Here’s a Direct Link to the Sale Page with All the Products. Any reviews on the new Adidas Powerlift 2.0? Are they any better than the powerlift trainer that would compact under 400+ lbs? Basically the same shoe just an updated exterior design/styling.